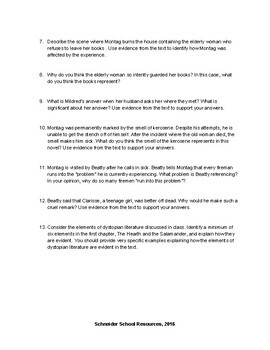 This download contains thirteen questions that will guide your students as they read the first chapter of Ray Bradbury's novel. The questions are not all merely reading comprehension questions. 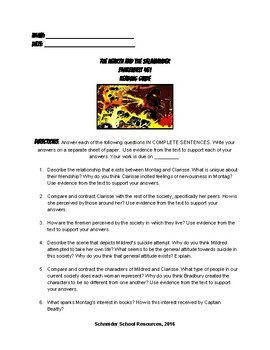 Many of the questions task the students with comparing and contrasting the characters, analyzing the elements of dystopian literature, and using evidence from the text to support their opinions about the text. This assignment worked very well with both my AP classes and my general classes. I also noticed that the reading quiz scores were much higher after the students completed the reading guide.